Saturday, April 6th WE NEED VOLUNTEERS FOR THIS PROJECT!!! ​ For the safety of those we serve and out of respect for their families, we never plan projects on or post return dates. We never post locations or details. Only registered, base cleared volunteers receive additional information about our events. All events are subject to change based on unit needs. What's Happening on the OHH Front? Gave a full Christmas morning, to include gift cards to 347 families and helped an additional 4 families in the days that followed Christmas for a total of 351 families touched. Served families of all shapes from families of 2 (single parents) to a family of 13 with 11 children. Provided Christmas support and financial assistance to 42 families impacted or who continue to be displaced by Hurricane Florence. We provided over 2,500 toys to 7 different units for 5 Christmas parties (CO, CA and FL), and to distribute to the the children of deployed service members. In addition, we were able to collect hundreds of toys for our next Camp JOY for children with deployed parents. Over 2,000 single service members were surprised with Christmas gifts and gift cards in DC, VA, CO, FL, TX, NY, CA, and NC between December 20th-Christmas day by our volunteers or their leaders who enjoyed getting to do something for their men and women. We gave Christmas TLC to many families dealing with loss, separation, cancer, sick children, ailing parents, the aftermath of accidents, financial crisis, and circumstances we hold close. This TLC came in the form of airline tickets, financial help, gifts, gift cards, and much, much more. Several families with special needs kiddos were given assistive technology to help with their quality of life. One family was given a year's worth of therapies for their children. Gifts were mailed, dropped off, wired, donated online, emailed (gift cards) and even hand made for families by donors in 30 states. ALL families and single service members were given more than gifts and gift cards--- they were given the gift of knowing that folks all over the country care! Friday, March 15th. This will be a field trip and service project for St. John's Episcopal School. ** Please note, out of respect for the families we serve and to protect the safety of those we serve and our volunteers, we never plan projects on or post return dates. We never post locations for events online, and only registered, base cleared volunteers receive details. ALWAYS ONGOING--CRISIS ASSISTANCE THROUGH OUR OPERATION ENDURING SUPPORT PROGRAM. ** Please note that for the safety of those we serve and our volunteers, OHH does not plan projects on or publish return dates. Nor do we post locations online. Only registered and base cleared volunteers receive directions. ITEMS for our SINGLE heroes! Entertainment items: cards, games, movies, itunes, netflix, movie tickets, etc. Snacks: protein bars, trail mix, popcorn, candy bars, girl scout cookies, cracker snacks, microwaveable mac'n cheese and soups, noodle cups, etc. We could ALWAYS use welcome home posters and cards! ​Let's make their first hours home FEEL WELCOMING and filled with APPRECIATION! Register for events through this website, and check out our Facebook page where we also post last minute behind-the-scenes volunteer opportunities. November-December Operation Christmas Spirit-- Camp Lejeune, Quantico, Fort Sam Houston, MCAS Yuma, Peterson AFB/Fort Carson, Camp Lejeune, 29 Palms and Mirimar, etc. ​​​**Please note: for the safety of those we serve and out of respect for their families, we never plan projects on or post return dates or locations online or on social media. Please join us in spreading the word about these projects while keeping Operational Security in mind. Volunteer: Click here to volunteer. Please make sure to RSVP for these events with your driver's license, date of birth and contact information no later than a week prior to the event to enable us to get clearance for all volunteers. 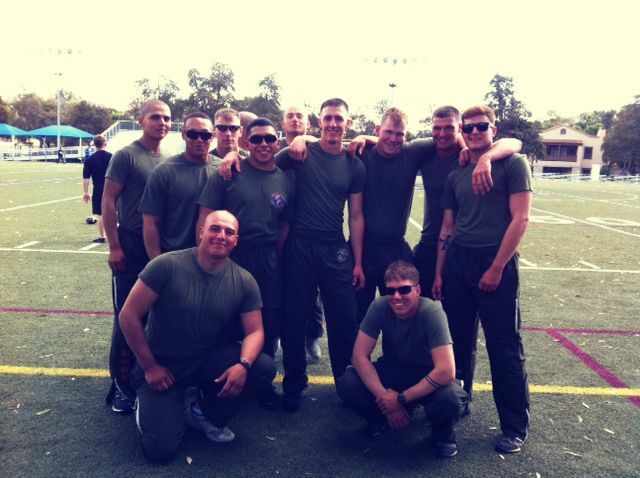 We welcome home young, single service members. Operation Rack Pack: Join us as we spend the day preparing a hero's welcome home for young, single service members returning from deployment to barracks. Volunteers spend the day light cleaning, making beds, and staging welcome home gifts & messages. We celebrate little heroes dealing with deployment and give respite to their parents on the home front. OHH Camp JOY: Celebrate our littlest heroes and give mom/dad on the homefront a well-deserved 5 hour break.. Volunteers spend a fun-filled day helping children through fun activity rotations. We shower new and expecting mommies with spouses deployed with appreciation. OHH Baby Shower: Help us pamper and love on new and expecting mommies who are shouldering the burden of having a spouse deployed. 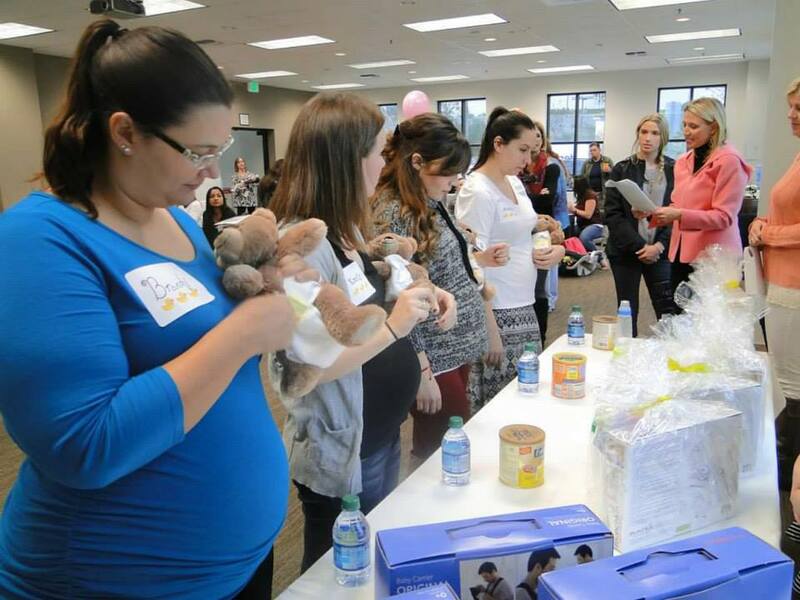 Volunteers help provide a day of fun & networking opportunities for new moms. We spread the joy and Spirit of Christmas to military families, single service members, children and unit events. Operation Christmas Spirit: Spread the Spirit of Christmas through this program, whether it's through service, sponsoring families, creating care package for singles, collecting toys for children or volunteering for unit parties. We assist families in crisis. Operation Enduring Support: Care for families in emergency situations with your donations, time and talents. Through this program we privately help families in crisis-- those dealing with death, illness, natural disasters, and emergency situations. We provide food, gently used furniture, childcare, baby necessities, household goods, gift cards and in some cases financial help. "We had a Christmas under the tree this morning because of OHH. What can we do to thank you? Can we volunteer? If I had though of it, I should have taken a picture of the kids when they were surprised. We are forever thankful and we want to pay it forward. Bless you." ~family recipient of Operation Christmas Spirit efforts.